You are what you eat. It’s a truism as old as civilization itself. Even in the days of ancient Greece, we knew the value of what we put into our bodies and how it can facilitate our physical and mental health. As Hippocrates, the father of modern medicine said; “Let food be thy medicine”. That’s why we as parents work so hard, despite our punishing work schedules and our desperate attempts to claw together something resembling a social life in our free time, to ensure that our kids sit down every day to a nutritious well-balanced meal. We know that it’s our responsibility to ensure that they get the nutrients they need to grow up happy and healthy and avoid being just another statistic in the shocking childhood obesity rates. Yet, as vital as it is to ensure that our kids’ bodies and minds are well nourished by the food they eat, we must also ensure that what they do is as varied and wholesome as their diet. The world has so much more to offer kids today than it may have offered us when we were growing up. The digital age means that today’s kids grow up with the sum total of all the world’s knowledge at their fingertips. This also means, however, that our kids are in constant danger of turning into couch potatoes. Given the allure of thousands of hours of movies and TV shows on today’s streaming services and the increasingly immersive nature of video games, a sedentary lifestyle is more appealing than ever. But if your kids (and the rest of the family) spend their whole day sitting it can be ruinous to their health. In order to be truly healthy, they need to stay active and enjoy a “balanced diet” of activities that is every bit as well structured and diverse as what does on their plates every day. The following are all great activities which can help kids lead an active and varied lifestyle. Most kids who don’t own their own bike yearn for one and it’s not hard to see why. A bike represents a degree of freedom as well as the ability to travel through the great outdoors at exhilarating speeds. But cycling isn’t just a cool activity that they enjoy, it’s also extremely physically and psychologically beneficial for just about anyone. In fact, cycling will not only help them stay in shape by burning calories, it will even help them do better in school. When engaged in an intense cardiovascular exercise like cycling, your blood vessels in the brain are more stimulated, ensuring that the brain gets more oxygen and nutrients while the nerve stimulation will also help to facilitate the production of new brain cells. It also encourages the brain’s production of endorphins and dopamine, meaning that cycling makes kids smarter and happier! What do we do when we need to center ourselves, clear our minds and shake off the stress of the day? Most of us go for a long walk. Walking is a great activity for kids. It’s surprisingly good cardiovascular exercise. A brisk walk can burn between 90 and 200 calories in half an hour. It also allows kids a chance to commune with nature, so it’s worth checking our different backpack brands and allowing them the opportunity to take a long walk in the woods either solo or as a whole family. Walking amongst nature has a wide range of mental health benefits and can help them to manage the stress and emotional turmoil that come with adolescence. Spending time in natural light among nature while resisting the allure of their smartphones can really help their mental health and their cognition. Team sports are a thorny issue with some kids. Some take to them like a duck to water and others do not. When kids don’t do well in sports at school straight away they tend to get frustrated with themselves and express little interest in sports outside of school. Sometimes they simply won’t find the right sport for them and throw in the towel early. This is a shame because team sports can be a wonderfully formative experience for kids. They can develop not only physical fitness and coordination but also creative problem solving, team building and social skills. 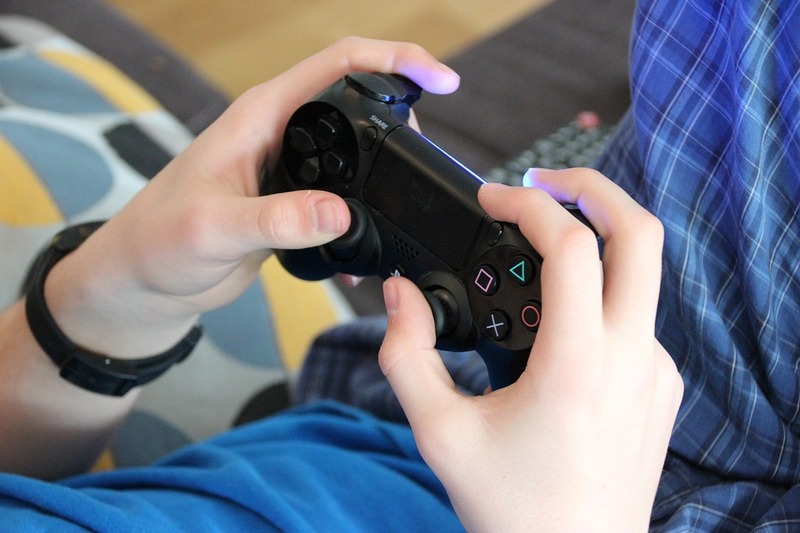 Video games can be addictive, which is why they should be enjoyed as just one part of a balanced and varied roster of activities. However, video games are not all bad. In the same way that the odd bar of chocolate can be enjoyed on even the strictest of diets, a little video game time can be not only enjoyable but mentally beneficial. Video games develop concentration, problem-solving, cognitive, coordination and memory. When kids have a varied roster of activities, they’re more likely to grow up healthier and happier!